Rogo Media is very proud of our work. This a small sampling of what we can provide. We will be adding more content in the near future. 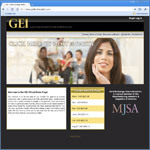 Check back soon for our featured website of the month. 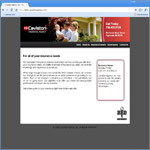 The Caviston Agency wanted to update their look and feel and add some forms to provide quotes to their customers. We obliged by updating it while maintaining their branding. This website was created from the ground up including branding and logo design. It has a very cool flash intro in the beginning with some additional flash components in the site. Gold Exchange International was looking for a complete new look and feel. We did the branding and front end design. We then worked with one of our partners to provide them with a backend portion that allows them to manage their business process. Angel Kisses is a charity that focuses on mothers who have lost a child prior to birth. We focused on the emotional factors and provided a brand that fit their personality. 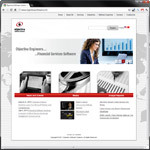 CPW is a technology company that provides technology services. This brand was a make over of a previous brand updating certain elements to provide a new look and feel while maintaining brand identity. 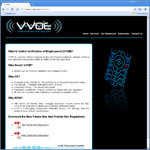 VVOE is a provider of Verbal Verification of Employment. We focused on the verbal component of the business and gave them a techy feel to highlight the technology behind the business.